As an entrepreneur, you surely know that small businesses have a lot of costs to consider. Managing income, accounts payable, invoices, and other expenses can make for a tricky financial balancing act. Small business overhead is one area that impacts most businesses, and it’s worth taking a close look at. Overhead costs are the expenses it takes to run a business, also known as operating expenses. Many of these costs don’t change with the success of your business. The cost of maintaining a vehicle or heating a store is the same whether or not you have customers. If you have to buy supplies to make more products because your business is doing well, those supplies don’t qualify as overhead costs, though they are certainly small business expenses. Many overhead costs can’t be avoided—businesses need things like electricity, internet, and office space in order to operate. The key is to keep track of overhead costs and not let them get in the way of growing your business and turning a profit. Knowing how to calculate overhead costs can help your accounting system. We have come up with our top tips for how to keep your small business overhead costs under control so you can focus on growing your business. Office materials are common business expenses and a necessity for running a business. Many business owners consider things like office supplies, paper, and marketing materials part of the cost of doing business. However, you can often find better deals than the retail price of a large office store. Try negotiating with a vendor for a bulk discount, even if that means you need to partner with another small business for a lower price, and reuse and repurpose as many materials as you can. Depending on what you do, you might need an office for doing business, but a lower monthly rent could dramatically decrease your overhead costs. Look around—could you downsize to a slightly smaller space, give up a few amenities, or try a new neighborhood for lower monthly rent? Some business owners even have luck moving to a different suite in the same building or re-negotiating with their landlord for less expensive rent. It’s worth checking into your options once a year or so. Most small business have numerous types of insurance, including property insurance, general liability insurance, and business interruption insurance. Many business owners spend too much on insurance or are paying for coverage they don’t need. Take a look at your coverage and read articles from trusted sources to get an idea of where you can cut costs without losing protection. 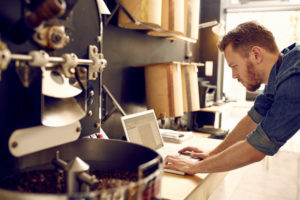 Although many small business overhead costs are fairly consistent, that doesn’t mean that business owners should just let them continue to operate unchecked. Managing your overhead costs can be critical to keeping your books in the black. Don’t assume that the overhead plan that worked for your company last month or last year is still the right solution. Check in regularly to see where the money is going, what costs can be lowered, and if money needs to be reallocated. Taking time to manage your cash flow helps you stay informed and in control of your finances. Your business operation needs may change overtime, and your small business expenses and overhead costs should change accordingly. Some overhead costs are consistent, such as utilities or rent, but others are variable. Plan ahead to know if there are certain months or quarters that will have higher overhead business costs so you can allocate the money and make sure there are funds available. If you need to renew your insurance policies one month or place a large order of materials for an upcoming trade show, plan ahead for balanced books and business cost reduction. Don’t fall into the trap of thinking that you need to spend lots of money to make money. Many of the most successful small businesses follow a lean finance strategy so that as much money as possible is put into growing your business instead of just running it. Constantly be looking for ways to reduce business expenses, such as by embracing technology, outsourcing projects, relying on unpaid or low-cost marketing, and trimming utility costs. Overhead costs are typical small business expenses, but that doesn’t mean they need to hold your company back from reaching its goals. Staying in control and managing your overhead costs can help put your business on the path to financial success.